The ancient Vedic Tradition researched the use of gems and found the following tones to be of the best benefit: diamond, ruby, emerald, pearl, chrysoberyl cats-eye, blood coral, hessonite garnet, blue sapphire, and yellow sapphire. Each of these gems is used for different physical and mental purposes depending on a person’s needs and nature. 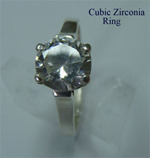 We offer precious and semi-precious Gems based on your sun sign set in preciuos metals such as Gold and Silver. Gems can be bought set in Gold or Silver Rigns and Pendants. Please call us on (416) 401-5555 or email us at puru@astrowise.com to get more information about the Gems and the prices. Prices vary for time-to-time because all Rings and Pendants are made to order and price of Gems, Gold and Silver change constantly.